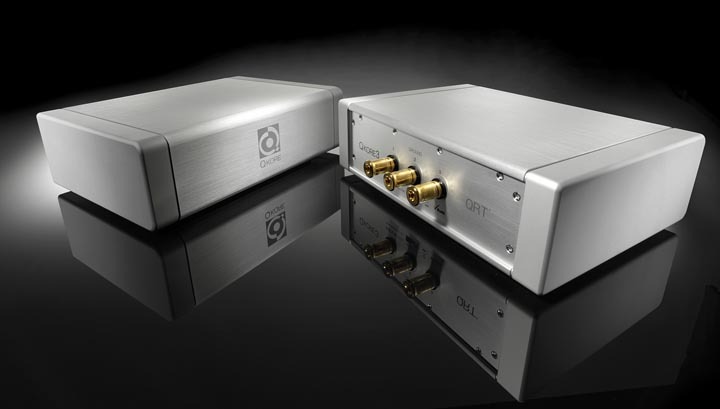 Nordost recently announced the latest addition to its line of QRT Power Products: the QKORE. The Nordost QKORE is the most effective, comprehensive grounding device in the consumer electronics market. It presents a simple solution to rid hifi systems of the incessant hum and relentless electrical noise that are caused by high frequency interference, noise, and stray magnetic fields contaminating AC lines. Nordost’s QKORE offers an effective ground point, which provides a solid foundation for your entire sound system. Introducing the QKORE to a hifi audio system produces immediate results: lowering the noise floor, increasing harmonic accuracy and clarity, and improving the overall musicality in performances. Nordost’s QKORE is available in three distinct models. 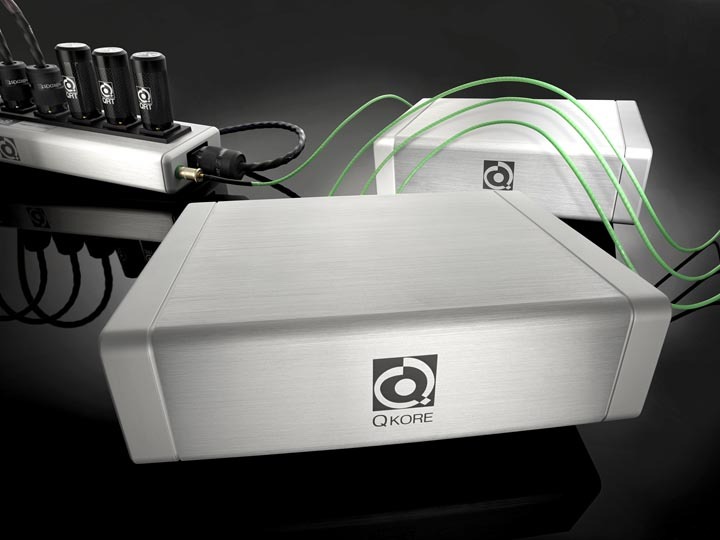 The QKORE1 is specifically designed to serve as a parallel ground for use with Nordost’s distribution block, the QBASE. By connecting the QBASE to the QKORE1’s singular binding post, it provides an effective, alternative ground on the primary side of the power supply. The QKORE3 is named for its three available binding posts, which can be used to ground any component in your system on the secondary side of a power supply, where the audio circuit is. For audiophiles who have monoblocks in their system, or are searching for an all-in-one unit solution, Nordost offers The QKORE6, making it possible to ground all elements of your sound system on its six binding posts, including one ground for your distribution block, two grounds for the left and right channels of your monoblocks, and three grounds for additional audio components. Every aspect of Nordost’s QKORE grounding system is thoughtfully designed and manufactured in the USA to the highest standards in the industry, in order to ensure product quality and customer satisfaction. The QKORE will be available at select Nordost dealers, worldwide, in June. The suggested retail prices (in USD) are as follows— QKORE1: $2,499.99, QKORE3: $3,499.99, QKORE6: $4,999.99, QKORE Wire: $360.00 with $150.00 per additional meter.